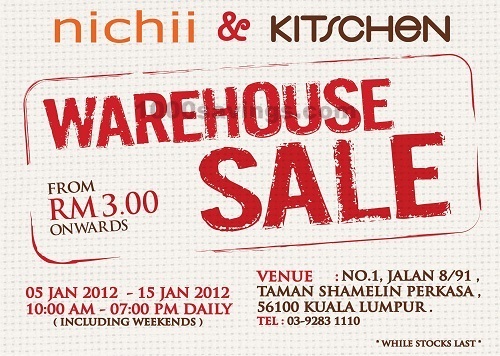 nichii & KITSCHEN Warehouse Sale: from RM3 onwards! nichii & KITSCHEN Warehouse Sale! Sales start from RM3 onwards!